If you’re not impressed by today’s smartwatches, and instead want a classic watch with the ability to connect to your phone, Casio has something for you. The company just announced the Casio Edifice EQB900 (seen above), an elegant timepiece that will be released in the US sometime in April. Priced at $320, the Casio Edifice EQB900 can connect to a wide range of smartphones via a dedicated Bluetooth button and a Casio Watch+ app (available on both Android and iOS). Thanks to this app, the watch gains features like automatic time adjustments, World Time for over 300 cities, stopwatch data transfer, and even a phone finder function. 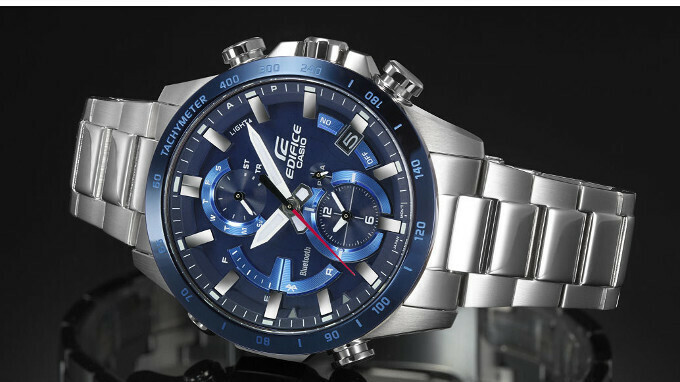 Casio says it’ll sell the Edifice EQB900 via its own online store, as well as through select jewelry and watch retailers. Interested? "Interested?" No. Not at all. The phrase "connects to your phone" means absolutely nothing for these Casio watches. It is absolutely useless(only phone finder is some benefit)! If they manage to make one with phone notifications it will be the killer watch for me. Now it is only a great watch with no need for charging, but not more than that. Drop all the "connected" misleading crap.